What would you do if the trip you were on took a turn for the worse? Directed by Rolfe Kanefsky and starring Tara Reid, Sadie Katz, Devanny Pinn, hot newcomer Richard Hochman and a string of others. Below we have the trailer to BUS PARTY FROM HELL. 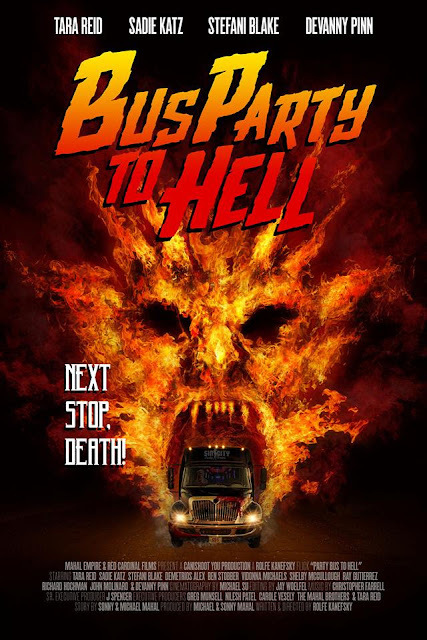 Out now on VOD (Amazon Prime), BUS PARTY TO HELL will be available on Blu-ray and DVD from 12th June 2018 and can be pre-ordered via the links below.